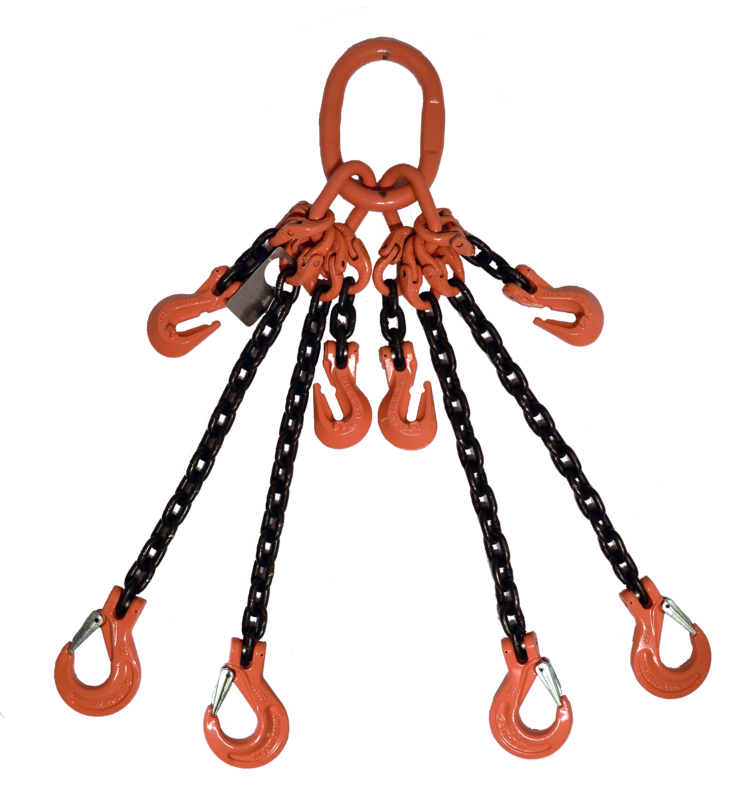 Chain lifting slings are ideal for applications when extra strength is required, or environmental hazards such as chemicals or excessive heat may be present. 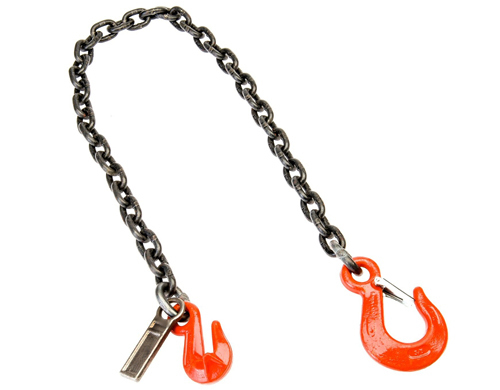 Chain slings are also an excellent choice if customization is required. Standard and adjustable slings can be configured a number of ways to ensure they meet the needs of the lift. 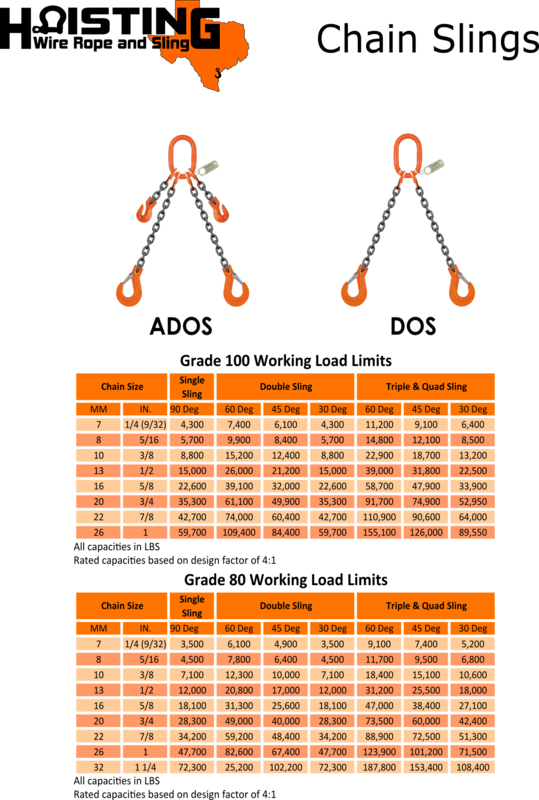 Grade 100 is becoming the industry-standard grade for chain sling manufacturing. Safe for overhead lifting, this alloy chain features exceptional strength and meets U.S. standards of NACM, ASTM and OSHA. Standard chain sling. Features one, two, three, or four lengths of chain, each with a sling hook with latch at the end, and attached to a master oblong link at the top. Adjustable chain sling. 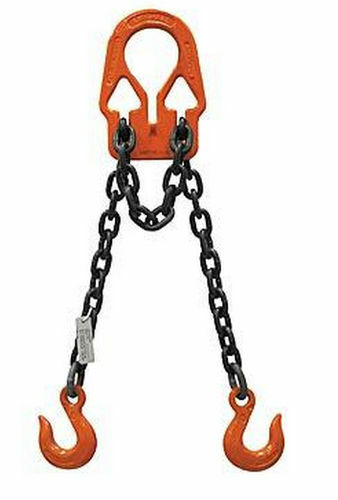 Designed with the same leg configuration as a standard chain sling, but also has one-four 6 inch lengths of chain with a grab hook also attached to the oblong. This enables the operator to shorten the length of the leg as needed.